The internet plays a major role in our lives today. After all, we’re able to receive daily news, check our emails, go on social media, and of course, see what our favorite celebrities are up to. We can also take a look at our banking information and do some shopping as well just by clicking a mouse. With so many of our daily activities being digital, it’s important for us to understand the risk we face every time we log onto the web. Cybercrime is becoming more prevalent each year as the number of security risks and data breaches continue to grow. The tools and software used to attack, hack, infiltrate, and steal information have never been so advanced that they could cause both digital and physical destruction until now. This means that, in order to lower your chances of being a victim, you need to equip yourself with the right tools to combat the threat you could face. So, what are some cybersecurity threats to look out for going forward? As the internet continues to expand and play a part in features in almost every device, so does the level of vulnerability. In other words, the devices we use to connect to the internet — phones, Chromebooks, Kindles, and smart appliances — don’t always come equipped with security software. This means that once they’re purchased, consumers will more than likely have to seek out their own security software to make sure they’re covered. The problem with this, however, is that this task can be on the lower spectrum of priorities or people aren’t sure how to do it, leaving you susceptible to attacks. 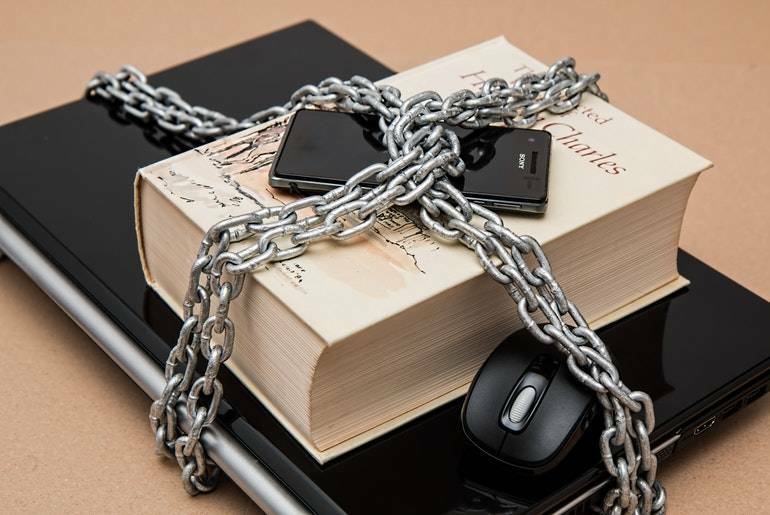 With increased awareness on this topic, however, businesses, organizations, and users from all over can take a new, proactive approach when it comes to protecting themselves. This will ensure that their information can’t be easily accessed and therefore out of harm’s way. Remember, as more and more devices connect to the internet, measures will need to be taken to prevent high-profile attacks from happening. By now, most users are aware of the everyday cyber security threats like “spam” emails and phishing attacks. But what if these attacks started evolving — what would we do then? Well, that’s just what will likely happen within the next couple of years. Out of all the things hackers are known for, they’re perhaps most known for taking risks — good or bad. This means that they’re bound to experiment and play around with different online tools to try and manipulate targets to meet their demands. With connected devices and the internet of things having higher security in place, it seems likely that attackers will try and create powerful tools to assist them in the process. That said, certain technologies like remote access systems or automation systems could all end up working in hackers’ favor. If that happens, then users will likely see an increase in cyberattacks as a whole due to all these factors. When this will happen, no one knows. However, if you have the right resources available to you, then you can protect yourself and your devices from unwanted attacks. Some of the most dangerous cyber attacks have actually come from within. According to Techopedia, an internal attack “occurs when an individual or a group within an organization seeks to disrupt operations.” The inside access that users have for certain accounts makes them capable of installing viruses onto your computer and causing great harm if they choose to abuse their power for personal gain. This might include a work computer or a shared computer at home that has multiple points of entry. Whether the attack was intentional or accidental, the biggest risk comes from users who are familiar with the system and know how to manipulate it. So, to help minimize the chances of this happening, make sure you only give admin rights to certain individuals. That way, if something does come up, the damage caused can be kept to a minimum. Although this doesn’t guarantee that you’ll be for sure be safe, it can limit your chances of being attacked. You should also revoke user accounts that aren’t being used anymore. So if you have someone leave the company or move out of your home, make sure you get rid of their account. This will not only protect your account, but your information as well. H. Davis is a recent graduate from Boise State University who enjoys exploring the outdoors and watching sports. If you can’t find him online, you might be able to catch him teaching Shakespeare to elementary school students. Follow him on Twitter @Davis241. How Secure Is Your Business When Online? Weekly Round-Up #194: Stay Invisible Online, Preventing Burnout And Do You Have An Eye For Design?